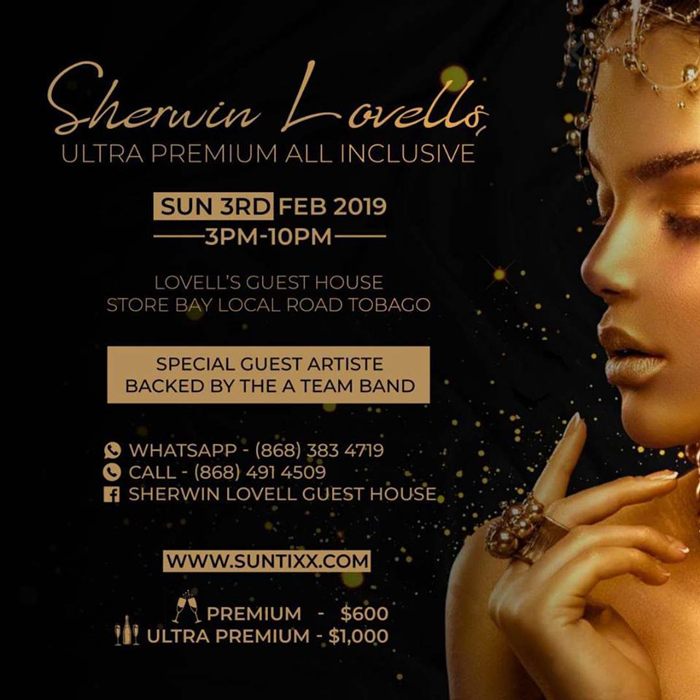 A Class and Standard Above the Rest.. Sherwin Lovell's welcomes you to Tobago's First Ultra Premium All Inclusive Fete. This event Stemed from Mr Lovell's very own Exclusive Birthday Party's which he has been hosting for over a period of five(5) years. For the first time the public will be Invited to bare witness to an event of this Caliber with, Premium Alcohol, A Food Court that will leave you WOW, Decor thats out of this world and Entertainment that will leave you dancing even after you have left the event. . .
VIsit www.suntixx.com for your tickets!